Do you constantly suffer from chronic muscular problems and/or injuries? Are you sick and tired of being in pain, but not sure where to go? Did you know that receiving massages on a regular basis can correct this? Thank you for visiting my website. As a gifted therapist, specializing in Neuromuscular and Deep Tissue Massage, I have helped many people from all walks of life. I have a unique and holistic approach to combining all of my talents and techniques so that you can learn how your body affects you. On your first visit, I will spend time with you to understand your body's problem areas and learn about any health conditions you may have, so that we can customize the experience to meet your specific needs. You'll enjoy such benefits as relief from back and neck pain, reduced stress, increased circulation, improved range of motion and much more. I will also help you with your posture, teach you proper exercise and stretching techniques, and teach you the importance of body awareness along with self-help tools for those struggling with a poor body image. For more information or to schedule an appointment, call Patty at 773-348-4227 or fill out the contact form below. Neuromuscular/Trigger Point Therapy: Relieves chronic pain, injuries and tightness. Therapies such as Neuromuscular, Trigger point, Myofascial, Stretching and Self-Care techniques are integrated into the Therapy Session to address the causes of pain. These techniques, combined with an analysis of postural dysfunction can help to reprogram muscle behavior. This is a clinical form of massage and can be very effective in treating localized conditions such as sports injuries, recurring tensions, sciatica, headaches and more. Deep Tissue/Relaxation Massage: Great for muscle aches, stress relief, and relaxation. This is a combination of Swedish, Deep Tissue, and Myofascial Techniques to help you relax. Flowing strokes help relax muscles and calm the nervous system, while techniques such as myofascial release target specific muscles. 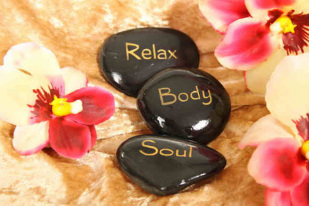 A Deep Relaxation Massage is a wonderful way to reduce stress and release deeply-held muscle patterns. This therapeutic style of massage can also be a highly effective form of body maintenance for athletes. Pregnancy Massage: Nurture your changing body and celebrate your pregnancy with massage. Prenatal Massage helps to relieve soreness in the back, neck and shoulders, can reduce pain and labor time, improve recovery time and reduce connective tissue damage after birth. A massage makes a great baby shower gift too. Cupping Massage: By creating suction and negative pressure, Cupping Massage therapy is used to soften tight muscles and tone attachments, loosen adhesions and lift connection tissue, bring hydration and blood flow to body tissues, and drain excessive fluids and toxins by opening lymphatic pathways. Cupping Massage bodywork is versatile and can easily be modified to accomplish a range of techniques, from lymphatic drainage to deep tissue release. This complements many health modalities ranging from spa treatments to medical massage and physical therapy. Gua Sha: A frictioning method whose purpose is to draw inflammation to the surface of the skin and away from the inflammation that is causing the pain. Usually any complaint or condition, such as frozen shoulder or severe pain/spasm is Sha and a blockage in the path of Qi. Gua Sha helps to unlock this blockage. Scraping on the exterior pulls inflammation from the interior and therefore decreases pain from the interior...including muscle, organs, nerve, bone and vascular pain. (This is why we say it releases toxins). RATES: NEW MASSAGE CLIENTS - RECEIVE YOUR FIRST MASSAGE WITH ME FOR ONLY $75.00!! ﻿*Gift certificates are also available and make great gifts for birthdays, anniversaries, Christmas, and the mother-to-be. ***Come and experience what most people say about a Massage from Patty. "Patty has hands from Heaven!" "This was the best Massage I have ever had." "She is in the top of her line." "She is truly the Massage Magician!". "This was not just a luxury, it was necessary and therapeutic too!"